Our email validation system allows our users to upload the list of emails to be verified. 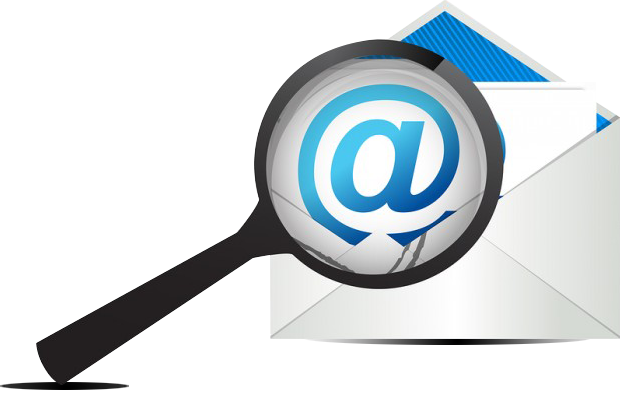 First, the system searches and remove all duplicated emails from the email list after which the system will perform a deep cleaning test by connecting to the destination mail server to check if the mailbox you intend to send the mail to exists and is able to receive mail. Once the users have emailed the list of emails, our bounce tracker system logs into his mailbox and in turn checks for bounced emails. After the process, our bounce tracker system fetches the list of bounced emails and save it in a list. This process provides a 100% email validation accuracy and in-turn help you to avoid sending mails to the bounced emails. 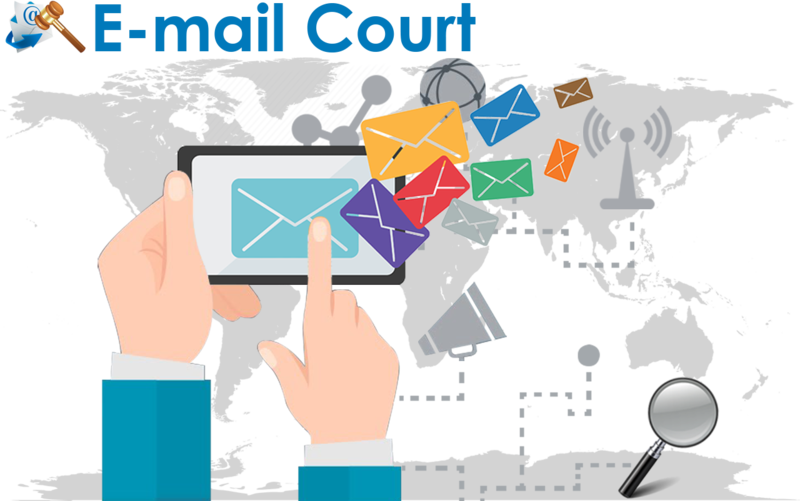 E-mail Court is a web application that can verify if an email address is real or fake. Anyone who sends emails regularly can benefit from using the system. The YFW Email Verify System allows uploads of any plain text CSV or tab delimited list of emails to be bulk verified or the Rest API can be integrated directly into your website or application. It is known around the world that the email address is an excellent medium of communication and it could be your first line of communicating with your consumers. However, it is a common phenomenon that existing prospects as well new customers often changes their emails or in the process of providing their emails do make mistakes due to spelling mistakes and most of them are unaware of this to even make adequate changes which in-turn results to a bounce back or delivery failure. This means if you have a vital information to pass across to your clients they will not be reached due to the invalid emails the information or the client might not even see the information because of the change of email. This could have a negative impact on your business in many ways. In some cases you might be sending these mails to the wrong customer who due to frustration can make a spam complaint and these information could be diverted to the Spam Folder and in the process could result into having a reduced customer based, losing revenue and a period of frustration for your sales team. While in some cases, you could be labeled a spammer and in the process get banned by your ESP Email Service Provider thus you just lost a potential prospect for your business. The annoying aspect is that these invalid electronic mail addresses could be caused by simple spelling mistakes. This is why you need an Email Verification Service that can provide a trusted solution that will perfectly meet your requirement. 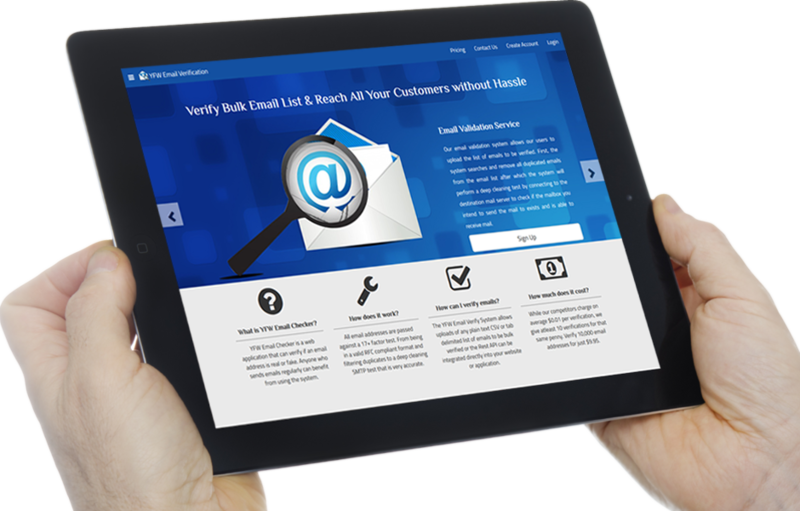 Using an Email Verification Service will greatly benefit your electronic mail marketing campaign, increase your customer based as well as your revenue. Email Verification Service protects your sender reputation by improving your information deliverability and its open rates. Our Email Validation Packages allow our clients to send more emails to your customers from anywhere around the world without having to worry about your email bouncing back. We use an advanced Email Validation Software which makes e-mail verification highly effective and way too easy. Whenever our clients enter their messages and send the emails to their list of consumers and it contains bounced emails. Instead of having to undergo the stress of manually picking out the bounced emails, our system makes the process very easy by logging into their email account and in the process fetch out the bounced emails. 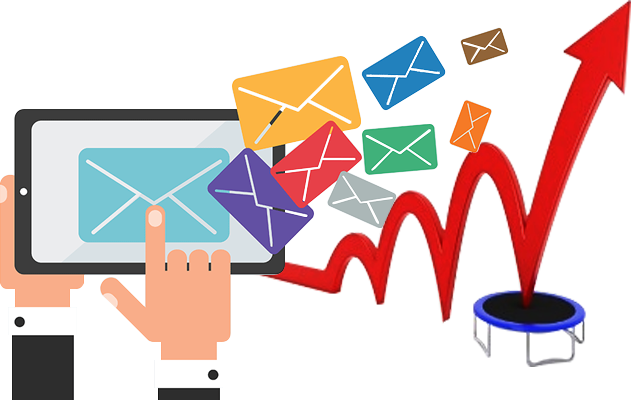 After which, our system stores the bounced emails and in-turn provide a list of bounced emails and as well help our clients to avoid sending messages to the bounced emails. Also, we offer real-time email validation at the point of collection from prospects. The real-time email validation is an ideal option for e-commerce shopping carts, landing pages, web forms, call centers and web applications. Our real-time email validation process assists our clients to prevent error invested electronic email addresses from entering into their system before it even happens. This means you can help your consumer to identify typographical errors or mistakes when entering their emails. Real-time validation helps you to accomplish the most important thing: avoiding the lower sender reputation and as well connecting with real prospects. Electronic mail is an easy medium of reaching a large number of people and it could be your first line of communicating with your consumers. However, when sending emails it is most likely to contain invalid emails when you send messages to these emails they bounce and the more you send these messages the more they bounce and the lower your sender reputation. If your reputation as a sender gets too low, your emails will stop getting through and in the process, you get blocked by your ISP's mail server. The best solution to stay out of such trouble is to simply improve the deliverability of your emails. This is why you need E-mailCourt service, our Email Validation Packages can significantly help you to reduce your email bounce rate by 98%. 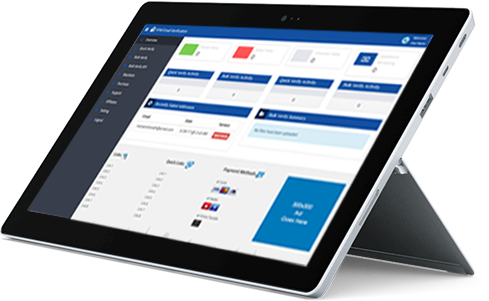 You simply stand to gain improved email deliverability, improved customer reachability as well as increased revenue. 24/7, uninterrupted personalized customer support. Clear, actionable email response codes. You get the best services at very considerate prices. 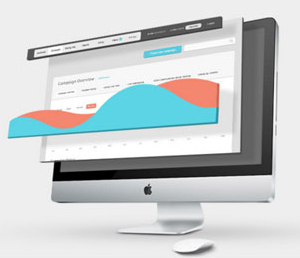 You have complete access to our email deliverability and marketing experts. Superior emails validation technology to swiftly identify invalid emails. When our clients use our Email Validation Service we can guarantee 95% email validation accuracy because the system will only perform a cleaning test to verify the list of the emails and pick out the invalid emails. However, the Bounce Tracker Service in-turn works after you have sent your first mail and in the process helps compile a list of bounced emails regardless of the reason and thus guarantee a 100% email validation accuracy. This means you can get a 100% filtered list after sending your first mail.